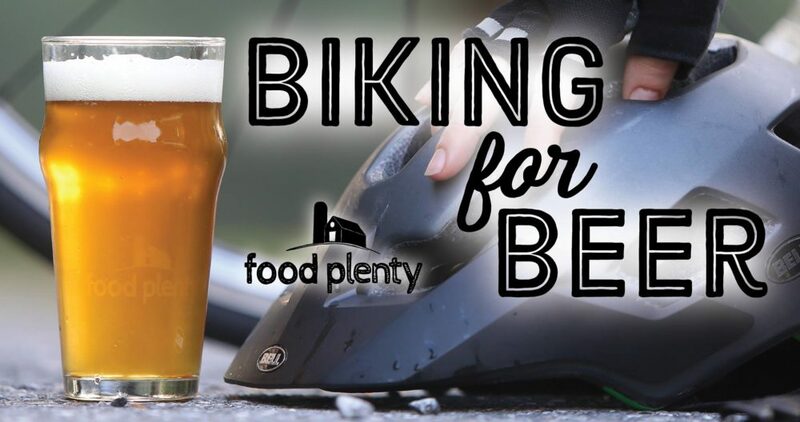 Join our friends from Food Plenty for their weekly Biking for Beer ride! Afterwards, hang out with fellow riders at Food Plenty and enjoy your first Manor Hill Brewing draught for free. Meet in the Clarksville Commons parking lot… wheels down at 6:30pm. All experience levels are welcome! The bike rides will continue every Wednesday throughout the warm season, weather permitting.